We know it’s hard to fit reading in this time of year, so this is a lighter newsletter than usual. You’ll find some strategies for using social media to promote your blog and a link to some encouragement about self-care for ministry leaders. 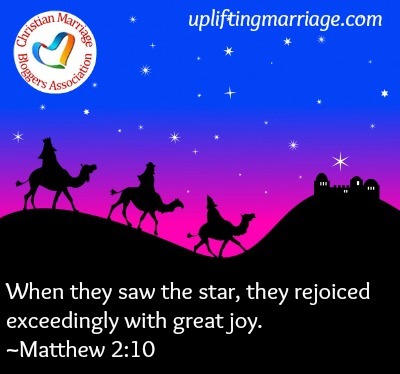 May you rejoice with great joy during this Christmas season and the coming year! We wish you a very Merry Christmas. The CMBA Member’s Forum is a place for us to can gain insight, encouragement, practical help, and prayers. Do you have a marriage resource that other marriage bloggers might find helpful? Visit this forum to share with the group! I am not Michael Hyatt by any stretch. However, I have learned a thing or two about social media promotion through ministry workshops and experience. If you consistently post on social media, you will see a boost in your blog traffic. Now, I know numbers aren’t the focus of ministry. The focus is reaching those God wants you to reach with the message of hope he has given you. However, numbers are a tangible way to evaluate. Simple, use a scheduling tool. I use the free version of Hootsuite. It allows you to advance schedule postings to multiple social media entities in one fell swoop. Won’t people get sick of seeing me if I’m scheduling that much? The key is to vary your posting types; promote yourself, promote others, and promote general encouragement/humor. Like I said, this is just a sample. You can post more memes and less archives. Revive Old Posts is a wordpress plugin that will automatically tweet old posts. You can set many parameters through this plugin, including the time between shares, how old a post has to be to share, and add hashtags. Since using Revive Old Posts, I no longer schedule archived posts through hootsuite. I let the plugin do it. I hope that gives you an idea of how to utilize social media to allow God to use your ministry for those who need to see it. Do you think of yourself as a ministry leader? Even though you may see yourself more as just a Christian with a blog, if you are reaching even just one person, you are leading a ministry. As a ministry leader, it is important to take care of yourself so you can care for others. If you need some encouragement and some practical ideas for how to do this, take a look at Tricia Goyer’s post Taking Care of Yourself as a Ministry Leader. She writes about how we can meet our needs for faith, perseverance, clarity, rest, and truth. If you would like to be featured in one of our upcoming newsletters, contact Chris at chris@forgivenwife.com. We’ll provide you with some questions if you like. It’s a great chance to highlight your ministry and let us know a little about you.